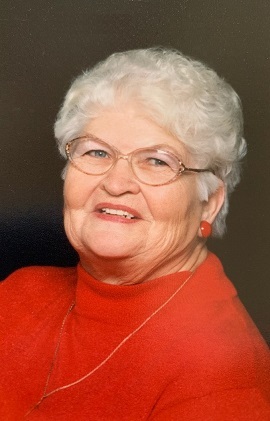 Barbara M. Railling, formerly of Marion Springs, age 87, passed away Sunday evening, March 17, 2019, at Ashley Care Center with her loving family at her side. Barbara was born in Saginaw on September 8, 1931, the daughter of August and Florence (Higby) Hesse. Barbara graduated from Merrill High School. She was united in marriage to Robert Bruce Railling in Merrill in 1950. They were married for 46 years before Robert passed away in 1996. Barbara was a homemaker but had worked at various times at Hehr International of Chesaning, High-Q of Lakeview, and also as a caregiver at Ashley Care Center and for Friends Who Care. She enjoyed gambling, baking, gardening, and most especially, ice fishing. Barbara was a good mother and strong woman. She instilled good, strong work ethics in each of her children. Those left to cherish her memory include her loving eight children, Edward (Sarah) Railling of Oakley, Marlene (Lawrence) Jungnitsch of Brant, Frederick (Angie) Railling of Tennessee, Elizabeth (Raymond) Wiltse of Ovid, William (Susie) Railling of Six Lakes, Anthony (Lynne) Railling of Richmond, Timothy (Jodie) Railling of Grant, and Bobbi-Jo (Bill) Clanche of Six Lakes; 23 adored grand-children; 22 cherished great-grandchildren; a much-loved great-great-grandson; and her lifelong friend, Tokie Golombisky. She was preceded in death by her parents, a brother, William Hesse, and her beloved husband, Robert. A private family memorial service will be held later. Charitable memorial donations may be given to Grace Hospice of Lansing or a charity of one’s choice. You may light a memorial candle or share a condolence at misiukfuneralhome.com.